A few days ago an extensive list of my own macros have disappeared -- now the Macro Editor shows only the generic set that come with the app. I haven't knowingly disabled them, don't know where I would find them. 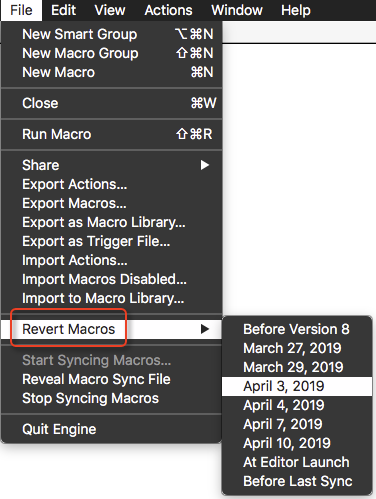 You may be able to recover them using the The Revert Macros command in the File menu. Just pick a date when you think all of your Macros were in place.